Book Richard for your next Event!!! 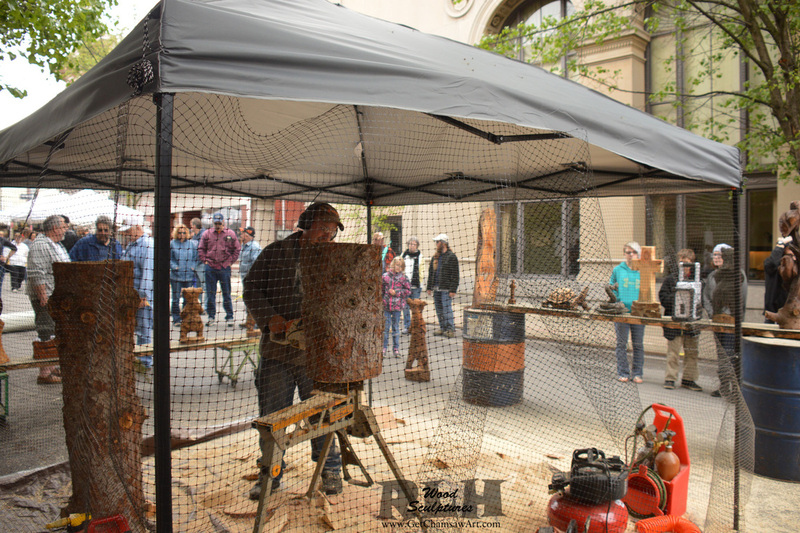 Richard Hamilton of Altoona, Pa has been carving for 9 years. He has embraced the Art Form and strives to create new and interesting sculptures. Not only does he provide a unique display of items, he puts on an action packed performance for on-lookers to admire. Book Richard for your next Event/Fair/Show! These short performances engage audiences of young and old alike! Watch Richard on his journey to creating a sculpture. The carvings made the day of the Event will be for sale along with a display of items that Richard will bring. Have 5 business' or people who want a carving!? Each entity will pay $220 and receive a carving of like value. This totally off-sets the Performance fee for the event! 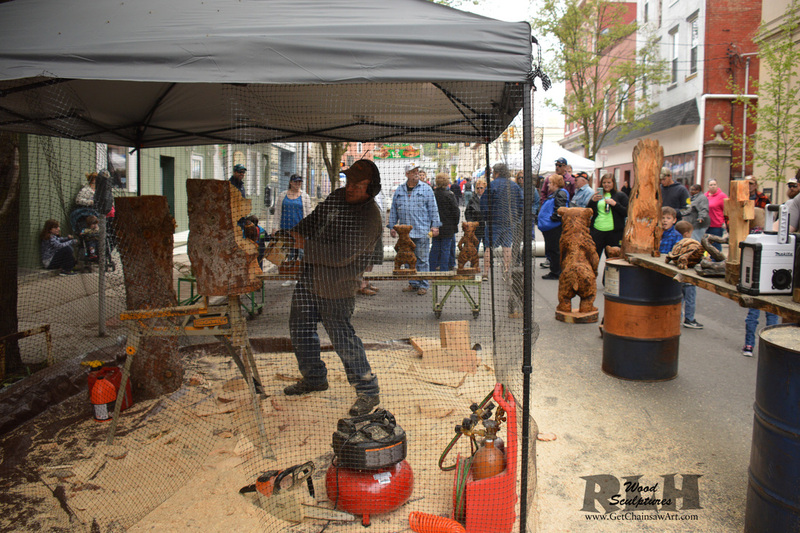 The five carvings will be given to the Event to either be auctioned off or raffled. This is a great way for the Event to make back their booking fee and potentially make additional money. 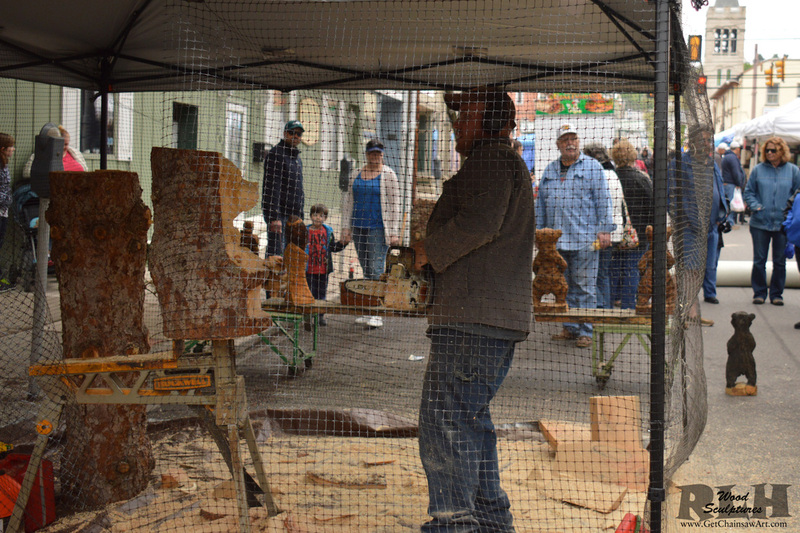 Additional carvings will be brought and available for sale by Richard. CLICK HERE to have us at your next SHOW!